Born in 1961 in South Africa, studied art in South Africa, the Czech Republic, Holland, and England. 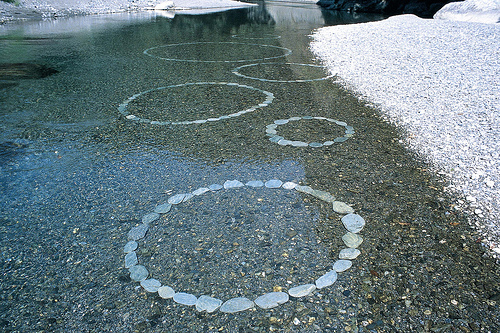 As a land artist he uses the materials provided by the chosen site. These temporary sculptures made from wood, sand, and/or leaves are then documented by means of photography. During his residency in Kamiyama he made several land art works using the beauty of the landscape. 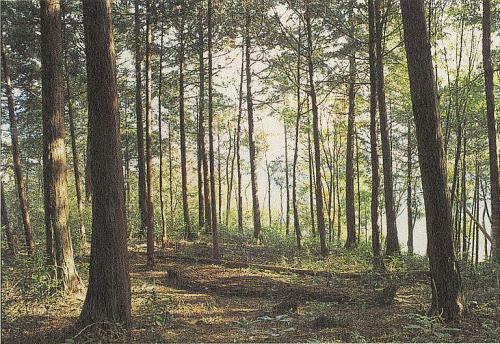 These works, which were created in the river, on the mountain, and in the forest are now photographically displayed in the permanent collection of KAIR. The forest sleeps, day and night. More humanly than man – like a child from outer space. Man, who doesn't sleep, awakens spirits, spirits of the forest who inhabit Oawa Mountain. The huge installation, which can be both ancient and modern, evokes gnomes. 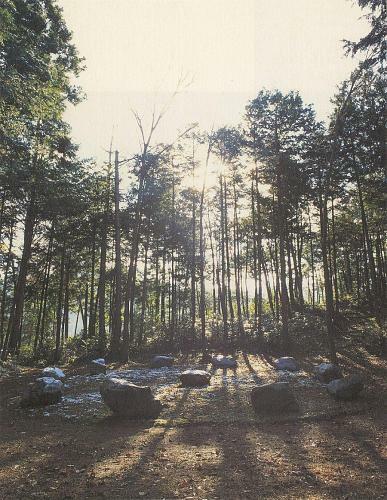 On the top summit is a circle of blue boulders, with a line cut into each stone. In ancient Japan, they broke stones for the souls to rest in. On the slope, there lies a casket of the queen of the forest, made of zelkova trees, with the sun shining over it.